The 11th Annual Better Club Games saw 750 over 55-year-olds from across London take part in a spectacular celebration of the social and physical benefits of sport. Team Greenwich clinched gold at the event which was held in the Copper Box Arena on the Queen Elizabeth Olympic Park in Stratford on Friday 11 November. 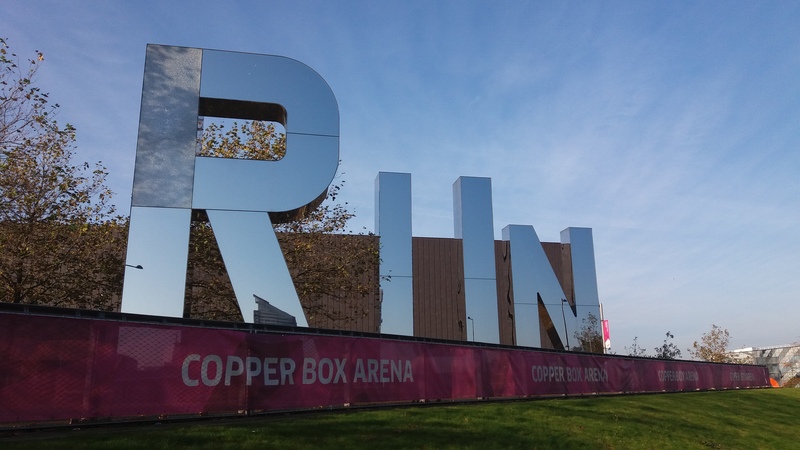 The annual Games were run by the UK’s largest leisure provider Better and hosted for the second time at the former 2012 Olympic venue, sited on the Queen Elizabeth Olympic Park in Stratford. The Club Games aim to encourage older people to become more active and to highlight the social and physical benefits that sporting activities can offer to individuals of all ages. Participants took part in a range of sporting events ranging from Badminton, Short Tennis, Swimming, Timed Cycle, Dominoes, Darts and Short & Long Mat Bowls. Proudly representing their boroughs, the 19 teams competing hailed from the London boroughs of Barnet, Camden, Greenwich, Ealing, Kensington & Chelsea, Lambeth, Hammersmith and Fulham, Hillingdon, Hackney, Merton, Tower Hamlets, Waltham Forest, Islington as well as Epsom and Ewell, Reigate and Banstead, Crystal Palace National Sports Centre, Rivermead Leisure Centre, Rugby, Cambridge, South Ox, West Ox, Reading and the Queen Elizabeth Olympic Park. Last year’s winners Epsom & Ewell were pipped to the post by Greenwich while team Hackney were hot on their heels securing third place. Former Olympic swimming gold medallist Duncan Goodhew opened the event, while Rio 2016 Olympic Silver Taekwondo medallist Lutalo Mohammed presented the awards.